These stunning painted and mango bedside tables are a stylish addition to any bedroom. Bedside tables are a great choice for storing everything from your secret stash of midnight snacks to your favourite book. If storage is what you’re looking for, units with drawers or cupboards are great for hiding all sorts of knick knacks away, whilst a simple shelved unit will add a minimal look to your bedroom. These stunning painted and mango wood bedside tables feature smooth painted finishes with solid oak tops, or beautiful exotic mango wood. Whatever your style of choice may be, you're guaranteed to find a piece that will complement the rest of your painted or mango bedroom furniture for many years to come, turning your haven into something truly unique. 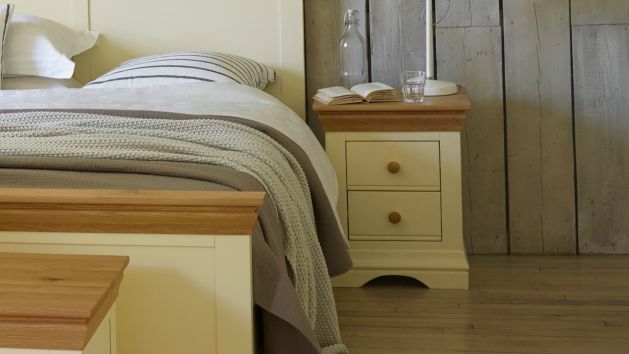 Browse this selection of bedside tables below!